in AUD to GBP, GBP to AUD. 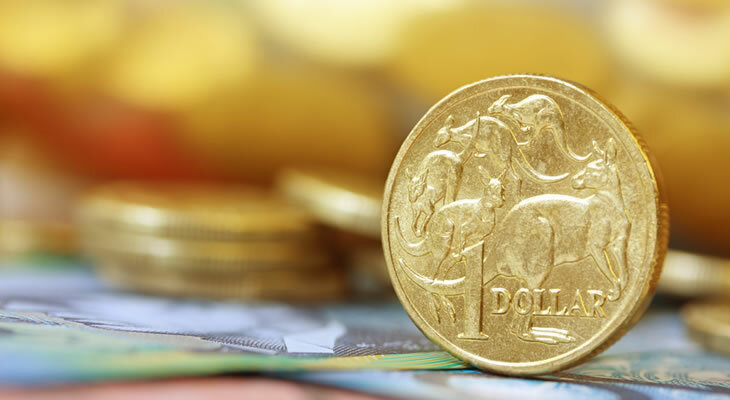 Confidence in the Australian Dollar (AUD) diminished at the start of the week in the wake of comments from Reserve Bank of Australia (RBA) deputy governor Guy Debelle. On the subject of last week’s labour market data Debelle noted that the central bank has ‘an open mind’ about what level constitutes full unemployment. This suggests that the RBA expected inflationary pressures to take longer to emerge than previously thought, given the slack that appears to remain within the labour market. If the unemployment rate needs to fall further in order to generate inflation, as Debelle’s reassessment suggests, the chances of the RBA delivering an interest rate hike in the months ahead look more limited. This dragged AUD exchange rates lower on Monday morning as investors pushed back their expectations for a 2019 interest rate hike. Pound Sterling (GBP) found some support, meanwhile, after reports that Theresa May will take a more optimistic view in a Brexit briefing to MPs. The suggestion that 95% of the Brexit withdrawal agreement is settled may see the Pound Sterling to Australian Dollar (GBP/AUD) exchange rate strengthen further. However, as the issue of the Irish border and a possible extension of the transition period remain unresolved the mood towards the Pound could easily sour once again. If May’s comments fail to convince either MPs or markets of the potential of an imminent agreement GBP exchange rates are likely to return to a downtrend. Any fresh speculation over the possibility of a leadership challenge against May could also drag the Pound down as domestic worries continue to dominate the outlook of GBP exchange rates. Political pressures could weigh on the Australian Dollar in the days ahead, however, after the governing coalition lost its one-seat majority over the weekend. With the centre-right Liberal Party now reliant on independent MPs to support its policies there are concerns that further political instability may be on the horizon. The defeat further undermined the position of Prime Minister Scott Morrison, raising fears that his time in the country’s top job could prove limited. If doubts over the political outlook continue to mount this could see the GBP/AUD exchange rate pushing higher. Additional weakness could be in store for the Australian Dollar if other RBA policymakers echo Debelle’s sentiments, denting the odds of the central bank raising interest rates in the near future.